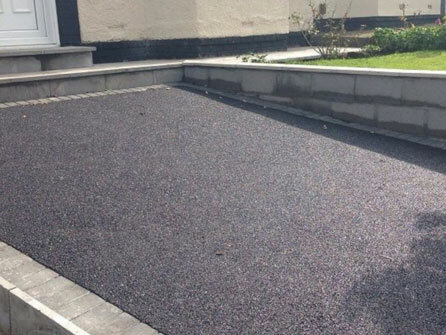 Quality bitumen on every job! 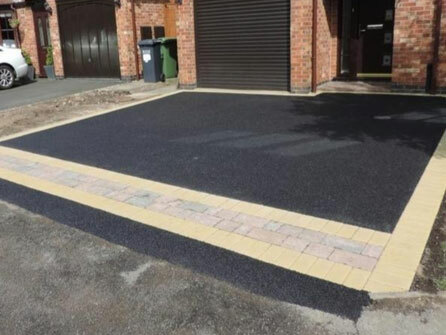 Top quality bitumen is used on all of our tarmac applications and come with a 5 year guarantee. 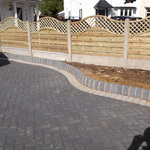 Available to both domestic and commercial customers, the same attention to detail is put into every job. 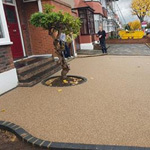 Each project is properly organised and efficiently completed to the highest standards paying particular attention to the preparation of the site first of all to ensure a long lasting tarmac application with the best quality finish. 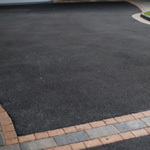 Our tarmac is available in either black or red and looks particularly good when edged with block paving. 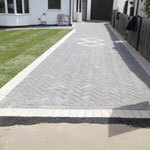 Speak to a member of our experienced team who will be able to show you recently completed tarmac driveways, so you can see the quality of our workmanship. 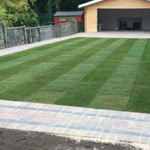 Tarmac still is the most cost effective driveway material on the market today, virtually maintenance free and quick and easy to install, causing minimum disruption to your day. 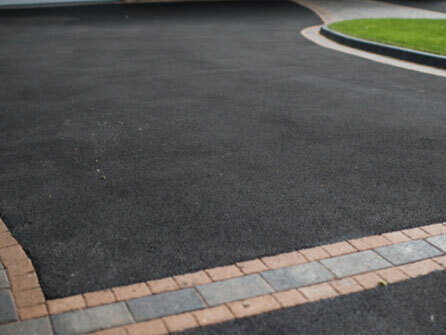 For tarmac driveways or pathways that are already installed on your premises but look a bit unloved, call our team who can offer a repair service to fill in cracks, fill in potholes or extend your tarmac driveway to accommodate more vehicles. Whatever you need, no job is too large or too small, we welcome all types of enquiries. No deposit is needed for us to get started. If in doubt or you need some more information about us, take a look at our Checkatrade page and see our excellent customer reviews. 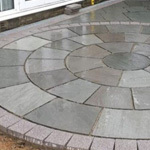 For a free no obligation quotation at competitive prices contact our experienced team at Greenway Paving & Landscapes Ltd today on either the Hertfordshire, Essex or London numbers at the top of the page, we look forward to discussing your tarmac requirements with you.